Habitat for Humanity involves participation with a coalition of local Catholic Churches to build affordable housing for families in need. 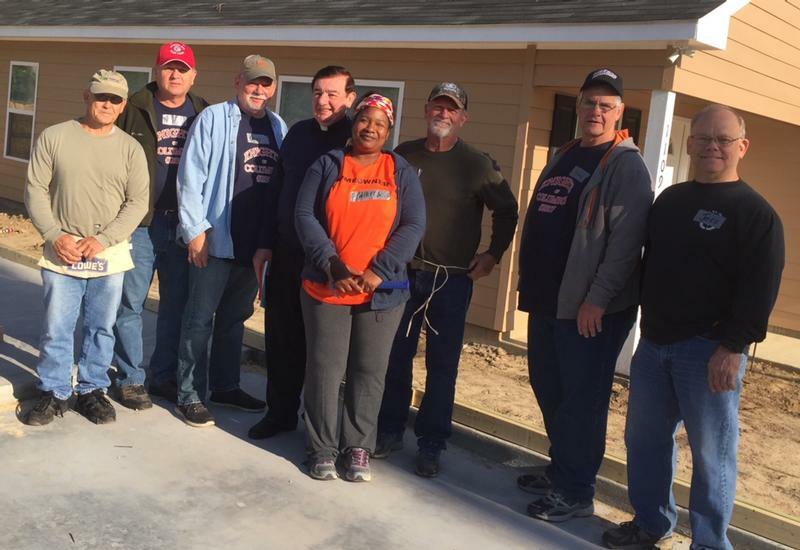 Pictured are the St. Alphonsus Knights of Columbus #2807, who volunteered for a work day for Habitat for Humanity in spring 2018. Shown with the Knights are Fr. Mike Moroney and the future homeowner (center).